They advise the removal of personal items that might make the home look crowded, or they might distract buyers. Too many personal photos on the walls are a sure way to have buyers commenting on your ski trip instead of your kitchen. In staging a home, many times the furnishings are rearranged to enhance the look of a room or make it look larger. This can mean the rental of a storage building for those that have too much furniture. In new or unoccupied homes, the stager will provide rental furniture that fits the style of the home and makes it look more livable. Large expanses of open floor space may look large, but it's hard for buyers to envision their furniture in the home or get an idea of what would fit where. There are even cardboard televisions and computers to place on desks in the home to make it seem more hospitable and help buyers to imagine their belongings in each room. Staging homes, particularly vacant homes, has become popular because buyers have trouble visualizing living in a home with empty rooms. Room dimensions aren't readily apparent, and it's more difficult for them to see how their furniture will be placed and if it will fit properly. Also, empty rooms sometimes echo, and they just don't seem to give buyers an at-home feeling. They spend a lot more time trying to visualize their stuff in the home and how they will place their most important items, like that big screen TV for Sunday football. 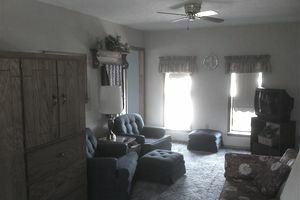 Vacant homes can often benefit from staging, but it is more expensive with furniture rental a necessity. As for occupied homes, I can tell you that they can be a real test of your ability to help your buyers to see themselves in the home. This is especially true when there are a great many personal items, lots of artwork, photos and furniture occupying a lot of the floor space. It can seem a bit crowded, making rooms look smaller. There's also the curiosity factor to consider. I once listed a home for a local artist with a following. The buyers seemed more interested in her personal choices for wall art than the home itself. Of course, they could have just been there out of curiosity rather than in buying mode. One even picked up personal photos and asked questions. In the case of an occupied home, it can be challenging for the listing agent who isn't necessarily advising the seller to hire a stager but makes suggestions about clutter and personal items. It can create tension when you tell the owner that they really should get a storage building and put some artwork, furniture, and personal items there to make the home show better. Freeing up floor space is a good idea if there is too much furniture. Also, taking down dark curtains or at least leaving them open is advisable. The idea is for buyers to enter a home and find it bright, easy to walk through, and lacking distractions that aren't necessary for their lifestyles. Doing a better real estate listing presentation. What Does a Real Estate Listing Agent Do? Real estate contract addenda explained. How Much Do Agents Earn For Recruiting for Exit Realty? What Makes the REMAX Real Estate Franchise So Successful?